In chapter 5 of Elizabeth Spelman’s Repair, she reveals 2 ways in which we repair relationships: apologies, and reparations. When we usually apologize it is because we have committed an offense to someone. We say “I’m sorry” to show the person that we feel bad for what we did wrong. It is then that the party we have wronged has to either accept or reject the apology. When we repair by using reparations we pay the victim party in some way, shape or form for the damages we inflicted upon them. This is a way of saying “sorry” without actually saying it. The difference between the two is that apologizing needs both the victim and the offender to agree on the apology so they can repair their relationship and move forward. With reparations since they are just giving money both parties don’t have to agree on it, and the offender does not have to feel remorse for what they did. One popular scenario where reparations was used to solve a conflict was right after World War I, where Germany paid the Allied Powers. An example of an apology being used to repair a relationship was when my brother broke my Nintendo GameCube. Years ago my main way of gaming was with the Nintendo GameCube. I played all kinds of games on it throughout the years, mainly ones based on Nickelodeon. It embodied a big part of my childhood. So when I found that the disc reader was snapped off the console I was irate. Suddenly, the past years of gaming on it all seemed like a distant memory. My brother confessed and apologized, he seemed full of regret about what he did. It took me a while but I eventually forgave him, and played on the Wii instead. He made a mistake and apologized for it, however only when I forgave him were we able to move on. Right after the Great War ended, Europe was in disarray from all of the destruction caused by the fighting. Since they lost, the Central Powers were forced to pay reparations to the Allies for the destruction caused by the war. Since the war was catastrophic and the death toll was high, the Allied Powers felt that an apology alone wasn’t going to cover 4 years of fighting. As a result, the countries of Austria-Hungary, Germany, and Bulgaria were forced to pay to repair the peace that was lost in Europe. However, they despised paying reparations, and this animosity led to the beginning of World War 2. The recipients of reparations are under no obligation to have or express any particular emotion toward the payers or toward the intermediaries who exact the reparations. This quote means that the party that receives the reparations doesn’t have to show emotion to whoever wronged them. This can lead to both sides not making up and fully repairing their relationship. In the Allies’ case, they felt that Germany paying reparations to them for the damages caused by WWI to be justified. However, they did not show any desire to try to repair the relationship between the Allied and Central Powers. As a result, the animosity between them grew and led to future conflict. Apologizing and giving someone reparations, while both being used to repair relationships, complete this objective in different ways. Apologizing requires both the victim and perpetrator to agree to the apology, while reparations requires only one party to agree. Apologies are most often used in smaller cases like the one with me and my brother breaking the GameCube. While things weren’t the same as before we were able to come to an understanding and our relationship was repaired. Reparations are usually used for much bigger cases. As for Germany and the countries who had to pay reparations, they didn’t want to do it. The Allies accepted it, but did not care about their relationship with the warring countries. This didn’t fully resolve the conflict and the relationship of the countries in Europe was not repaired. After finishing Elizabeth Spelman’s, Repair, I had many conflicting perspectives on how and why we repair. I wondered if repair is a preventative measure on the way to recovery. Does the necessity for repair put people in a cyclic trap? Will repair cause a person to live their life stuck trying to repair what they used to have before disaster struck. Not everything that breaks can be fixed. The skills we repairing animals have to learn include self-reflexive ones of coming to grips with the limits of those skills and figuring out what to do in the face of the irreparable. After the attack on the World Trade Center, this nation will never be the same, New York will never be the same, Floral Park will never be the same, families will never be the same and I will never be the same. Although our nation, 15 years later continues to strive, we must ask ourselves have we done enough. In Chapter 6, Spelman discusses the repair of ruins and whether or not they should be repaired. The question raised about these ruins apply to natural cases. Which makes me curious whether or not terrorism is considered to be natural destruction. Is a terrorist a product of “nature”. Are humans inherently evil or does evil develop due to their environments? Spelman’s book was published 2002 approximately one year after the attacks. At the time there was confusion with what to do with the rubbles at the sight of the attack. Spelman describes the differing opinions held by police men and fire men on what is to do with the rubble. The discussion on what to preserve and what to fix in the book is very minimal. But, we now know what exactly our country did to repair. And the process of repair is still far from over. The remains of the World Trade Center are preserved, rather than repaired to stand how it once did. The museum pays tribute to the innocent lives lost, and over 10,000 artifacts from that tragic day are displayed within the museum. I believe the museum was the best possible way to acknowledge this atrocity. Instead of attempting repair, the people who worked to build this museum created an environment which connects us to the past, and will not allow us to forget. The artifacts all contribute to the museums emotional power. Things people would consider “garbage” are displayed in this museum. Small eyeglass frames, a burnt firefighters hat, clothes covered in ash and soot from Chelsea Jeans, mangled police cars, fire trucks ambulance, and the large steel columns which once held up these towers are just a few of the artifacts that can leave anyone in the museum speechless. It would be interesting to hear Spelman’s opinion on whether or not the construction of the Freedom Tower and museum were an adequate way to represent this atrocity. Would Spelman believe this was the right way to approach the “idea of repair”? I have visited the museum multiple times and each time and I am shocked with how much emotion can be felt. The first thing you see is the large picture of the old Twin Towers and then the redesigned Freedom Tower. The juxtaposition of these two photographs is actually quite important because it shows our ability to rebuild our nation. I think it is crucial for all people to go and pay tribute to these victims and connect with families on an empathetical level. Although terrorists are capable of breaking the literal foundations of American society, they cannot break the figurative foundations. The terrorist attacks were no match against our unquestionable sense of spirit. And because of this we will never succumb to an attack against our freedom. Although the opinions of American citizens’ can greatly vary, freedom is one undeniable right that holds the same value nationwide. Can someone be repaired from an emotional fracture? Who has had their heart broken? Whether it be by an old friend, a distant family member, an ex girlfriend, really anyone who you have ever cared about and lost touch with. When trying to put the pieces of your heart back together, a friend might try to console you with: “It just wasn’t meant to be.”, “There are plenty of fish in the sea.”, or “You could do so much better.” you might even tell yourself those things when trying to mend yourself, after all, Elizabeth Spelman reminds us that we are self-repairing organisms. Everyone has been hurt emotionally before, but what do you do when you are on the giving-end of the emotional trauma? I started dating my first “real” girlfriend in the summer between sophomore and junior year of high school. We became very close friends during sophomore year, and decided that we both liked each other so we started dating. For eight months, the relationship was great, she was good friends with all of my friends, we treated each other respectively and were a couple that you might say “goals” to yourself when passing us in the hallway. However, all good things must come to an end, and the long, long “honeymoon phase” ended, and with it being my first ever real relationship, my feelings faded, things that she did that used to be funny were suddenly annoying, and so I got bored. I started seeing things in her that I had not seen before, things that I disliked, the way she treated some people, etc., and so I broke things off with a girl that I promised I would “love forever”, and I really did think that for a long time. She was broken afterward, she kept telling me how much she loved me for weeks after and tried to get me to change my mind, but my mind was made. The months following were hard, even for me, I had the feeling that I had torn this girl apart, emotionally. I would always tell her how sorry I was, she never accepted my apology. It’s been a year and a half and I still periodically text her and remind her that I was sorry for what I did to her. She has a new boyfriend now and is happy, so we are (reluctantly) pretty decent friends, and remain relatively civil in conversations with each other now. Deep down inside, though, I still feel like she has a sour taste in her mouth when she thinks about me, so was she ever fully repaired? She is over me and has a new boyfriend, but what defines a full repair of the heart? The main “skill” still required of family members is the hardest one of all–the ability to forge, deepen, and repair relationships. Under normal circumstances the work of tending to relationships calls for noticing, acknowledging, and empathizing with the feeling of family members, patching up quarrels, and soothing hurt feelings. But relationships among family members are not the only ones that are likely to need repair, and the household perforce provides apprenticeship in such skills: Because of the variety of ways in which humans are called upon to mend themselves, others, and the relationships they are in, they need some kind of rehearsal for and training in that long before and certainly during school years (35). In this quote, Spelman claims that one of the hardest skills of all is the ability to “forge, deepen, and repair relationships.” I believe that. Things can barely ever go back to normal, you can think that everything is better than it’s ever been, then you think back to the way things have changed, and although you are happy, things will not go back to the way they were before. With that in mind, is it worth it to repair an emotional break or a relationship? If things are going to get better, but you will always have the thought of “the best times” in the back of your mind. Things don’t go back to normal. In Chapter 5, Spelman explains the actual meaning of the word “sorry” and the importance of this word. This made me start to wonder, how many times a day do people say the word “sorry”? The word itself has created such a loose term. People everyday say “sorry” like it’s nothing, it just naturally comes out of ones mouth. An apology can be for something small, for example bumping into someone while walking to class. But an apology can also be for a greater reason, cheating on your significant other. However, the word “sorry” is used for both these situations even though they have totally different circumstances. However, Spelman goes deeper into the meaning of the word in her book Repair, where she explains how much this word actually means and the importance of the word. An apology is something that should be used when full regret, remorse and responsibility is shown. Spelman includes the idea of an apology into a different version of repair. Apologies are used when a special relationship or situation is at risk of being gone forever because of ones wrongdoings. The apologizer needs to express their remorse to repair their relationship once again. If we use the term “sorry” so lightly, how would one ever know the true meaning of an apology? Think to yourself how many times a day you say “sorry” and how many other times you hear people say “sorry.” I’m sure you wouldn’t even be able to count it on one hand. The term has grew such light meaning to us today, and I’m not sure why. Spelman expands on the idea of how important an apology is, when we truthfully don’t even realize how important that word is. This is when she also starts to explain the idea of reparation, which is when you also give something because an apology can’t fulfill. For example, when the tragedy of 9/1 occurred, not only did families receive an apology, but also money and services needed to try to make sense of this horrid situation. But, in those circumstances does an apology or money even begins to explain the devastation after? 9/11 not only caused trauma and devastation that day, but also for the rest of our lives. Today, 9/11 still has an impact on us and always will in our everyday lives. Reparations are needed when an apology can’t do enough, but would you give your friend money if you two encountered a fight? As we grow, we learn from our mistakes because life is a way of trial and error. Along the way, we mess up and we learn to apologize. These apologies taught us how remorse feels, and what a terrible feeling to endure when a relationship you once cared for might be gone. Throughout our lives, we make friendships with people, some which mean something to us and some that don’t. Once we find those true relationships, we do everything in our power to have a strong and enjoyable relationship. However, everything that means something to a person has its ups and downs. This is because we care so much about the relationship; we never want anything in the way to harm it. Whether it’s a relationship with a friend, significant other, or family we all have our differences and we all seem to fight sometimes, which is okay. However, when you are faced with an argument with someone you care about, it’s a scary and unbearable at times. I have experienced this when I endured a fight with one of my friends that lasted for several weeks. It started from something small, but soon enough got worse as the days went on. She became angry with me when I started to be with other people and we saw less and less of each other. At the time, I was irritated that she was mad at me for this, why is it so wrong if I talk to other people? Truthfully, I was irritated that she couldn’t understand that I could still talk to other people, which resulted in me being angry with her as well. Sometimes we become angry with the people that care most about us because we don’t see it from their perspective, and we don’t think they are looking out for us in the moment. But, those are the people that care most about those and us are the relationships we have to reserve. However, after this I learned how to truly apologize to someone and show that I meant it and am responsible for what I have caused. I also apologized for doing things to even risk our friendship ending. I knew I had to so she could see how serious I was about my apology and how terrible I felt. With people that care about you, they understand that sometimes we mess up, and that’s okay to because we are only human. Spelman states, “he regrets what he has done and feels sorrow over what he has wrought,” and that’s the lesson I learned from this for the rest of my life. I still make mistakes and I will continue to keep making mistakes, however when an apology is greatly needed, I know how to show remorse to what I have done. We learn the importance of an apology after we have to use its true meaning and after we almost destroy a relationship. Overall, Spelman taught the idea of how important an apology is and how our remorse, responsibility and regret need to be accounted for in our apologies. After one has to give an apology that has true meaning, one will learn how serious this word is. The light use of this word happens on a day-to-day basis, however one will never know the true meaning until they are forced to use it. When reading Elizabeth Spelman’s book Repair, insight is given to the readers to show that repair, restoration, reconciliation, preservation, conservation, replication, or reconstruction are just a necessary part of life even though they may be detrimental to the object or person receiving the mending.This book made the reader think deeper into his or her own life about how he or she repairs or fixes things. I took many different points away from Spelman. I took away from this book that there are different types of repair, “it’s about the survival of the old”, that it is “more of an art than a science, derivative of what already exists.” But, I also realized that not all things are meant to be fixed, apologies need to be meaningful to be accepted, and saying “I’m sorry” after every small incident happens is not significant. Repair is confusing for many to handle due to the fact that humans sometimes fix things that shouldn’t be fixed and don’t fix things that are in need of being repaired. Realizing that there is an apology needed to help tend to the “harm” a person makes causes repair to occur. For example, when my younger sister and I were little we used to collect fireflies during the nights of summer. One night, we could not find any fireflies out, but that did not stop us from hunting for them. After about thirty minutes of searching, my little sister finally found one and put it into a little jar that we have specifically for those fire flies. One wasn’t enough for her, so she went out looking for more, but I became too fatigued and did not want to look anymore. Instead, I started playing with the one firefly that she caught and accidentally let it go. When my sister came back, she was upset she could not find anymore but was excited to play with the single one she caught earlier. She noticed the firefly was no longer there and instantly grew angry at me because she realized I set the little guy free. She ran inside with an upset look on her face. I felt terrible for letting her little creature go, so I ran inside after her and sincerely apologized to her telling her I would catch her some tomorrow night instead. My apology took awhile to gain its acceptance, but eventually that night she told me it was okay and also apologized for getting so upset with me. This example explains the interaction of an apology that needs sincerity for the pain and sadness to go away. Not only are apologies important, but the way you say you’re apology has a lot of impact on the outcome of a situation. If my apology to my sister was nonexistent or not meaningful, I might as well not have apologized. It would have put a strain on my relationship with my sister. Even though I did something so tiny to make her upset, it still affected her more than I thought it would. Even though we went firefly hunting all of the time during the summer, that single firefly brought her so much happiness and positivity, and I took that away from her. Once that processed through my mind, I had to give the most wholehearted apology explaining to her that it wasn’t my intent to make her so upset. The apology that I gave her came from the bottom of my heart convincing her that I was wrong for what I did. For her to accept the apology she had to realize that I was actually sorry. The author brings some realization to the fact that improvement at the wrong time or to the wrong person can become counterproductive. For example, this book has talked a lot about fixing automobiles in order to make them work again or look exactly like the car that was there in the first place. But, if the person working on the car is not skilled enough to deal with the dangerous activity at hand, there is a possibility that him or her could become injured due to a slip up. In this case, the person who was trying to fix up the car back into good shape is now wounded. The same thing can occur with a person; they too can be hurt in the process of repairing. We read an example about a girl named Jackie who became pregnant by her boyfriend and was seeking help from her parents. If Jackie was receiving help from her parents but was not being respectful and thankful for her parents help, Jackie’s parents might get frustrated with her causing them to feel the need to back off. Say they brought her to a doctor, but she wanted to go to a different doctor that her friend recommended. Jackie may start to become aggressive with her parents about the decisions they were making for her. She may even start to become upset with her mom causing her mom to get annoyed. This is an important example of how the repairer can be hurt in the process of trying to help. In this instance, Jackie’s parents can become very upset with her and may not want to help her anymore with the original problem at hand. This causes a “crack” within the relationship between Jackie and her parents. 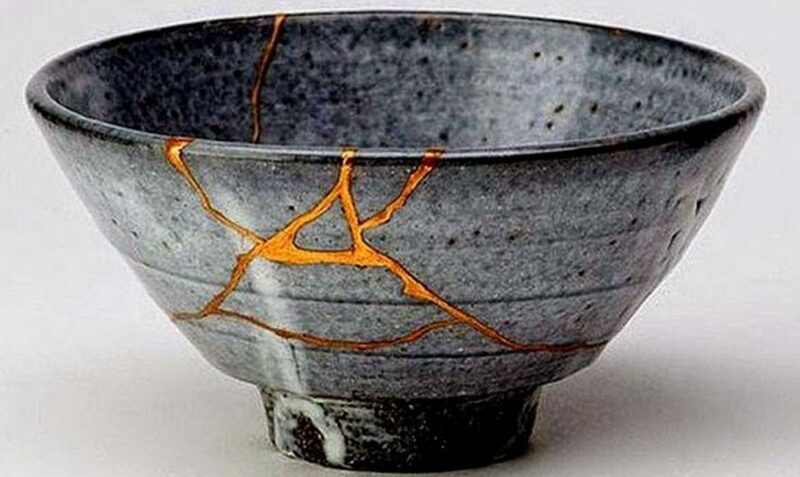 It is a part of life to be broken down as well as become worn and torn. Repairing a person is the only option to over come these problems, but humans have to take caution in how they go about fixing something. Sometimes it can be too hard for the person that is just trying to help causing more damage to be done then what was started with.